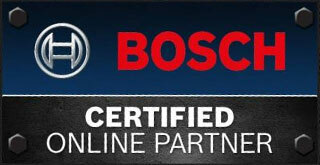 One of the most reliable and renewed brand in the tool sector is Bosch. Their high-quality and dependability make them favorites among part-time handymen and professional contractors in Ontario. At Federated Tool, you will find a complete range of Bosh power tools, cordless tools, and saws that will meet all your needs. Our store also has a great selection of Bosch of accessories such as electrical cords, drill bits and screwdrivers bits. If you are looking for a specific model of Bosch tool that we do not regularly have in stock, don't hesitate to contact and we will be happy to help you! 12V Max 3/8 In. Drill Driver Kit.